I must admit – I’ve really enjoyed adding all of the betting tips to one post. It makes my Tuesday golf betting tips a much less daunting task. 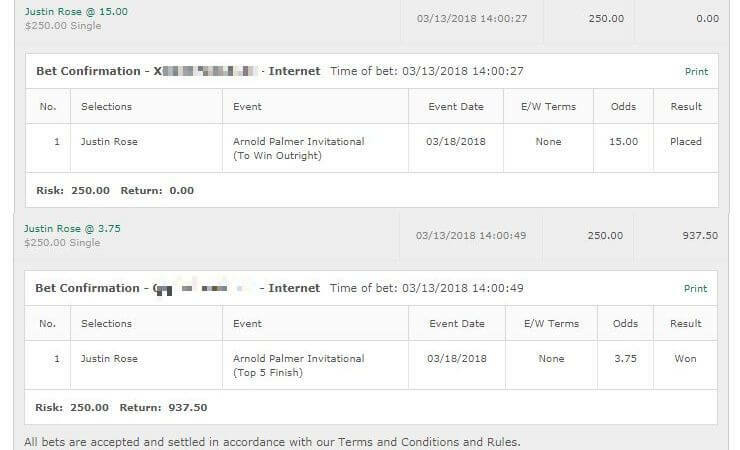 I won’t do it all the time – but I think for weeks where I am a bit swamped, then I will do it as it makes it easier to write the betting tips up after all the work I do on the actual system itself. I’ll be doing it all this week because I live in Canada and we’re hit with 40cm of snow here today and the kids have a snow day – so I’d much rather be outside playing in the snow than writing an in-depth article about the LPGA! Thanks to Dean Burmester for his excellent performance there. This is a very, very tricky course to play on. This is one where it’s hard to spot the outsiders – instead you have to get very lucky with that. It’s best to look at the upper echelon of golfers for a tournament like this to get a top finish. The first one is Dustin Johnson. The dude has struggled lately since the break. He had a top 10 finish at the Hyundai however then struggled at the Farmers Insurance and came just 41st last week at Pebble Beach. Johnson has some solid form at this tournament however with 3 top 5 finishes since 2010. We think Johnson is going to be aw “Go big or go home” type of guy here – either he gets in the top 5 or he’s nowhere. So we will place Half unit on him to win and bet E/W. Someone coming into this on a pile of form is Bill Haas. He’s had solid results here before and other than one cut he’s been playing some great golf. He shot a -10 last week at Pebble Beach and also came tied for 9th in the CareerBuilder. With a win here a couple of years ago – we’ll also bet a half unit on Bill Haas to win and bet E/W hoping that his run of form on a familiar course works out good for him. 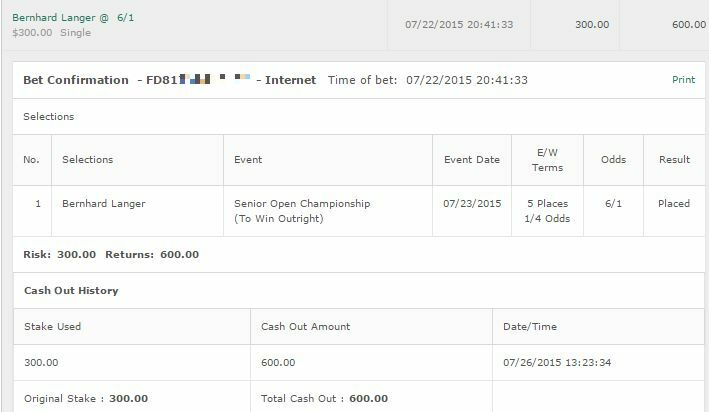 Finally – a quarter unit bet on Keegan Bradley. To win and E/W. Struggling lately he actually looked pretty solid at the Phoenix Open and didn’t play last week. He’s did well on this course before and we’ll back him. Bet: The best place to bet the golf is https://www.GTBets.com. The European Tour is always tricky this time of year and with this being a new tournament and with no course history, we’re hesitant to bet. Unless you want to refer back to 2002 and the Malaysian Open – we’ve looked at that just to get an idea of the type of course. As we want to watch it however we’ve did the best analysis we could. We recommend quarter unit bets to win and E/W on the following: Rafael Cabrera Bello 16/1, Alejandro Canizares 45/1, Scott Hend 60/1 and David Howell 110/1. 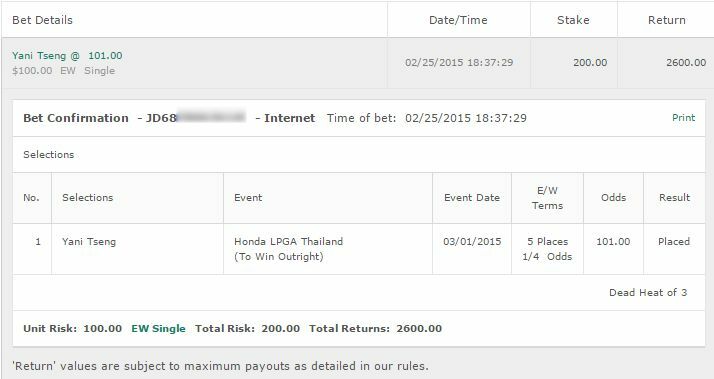 We’re going to place half a unit on Lydia Ko to win at 13/8 odds. I mean the sportsbooks are running “ISPS Betting WITHOUT Lydia Ko” and there’s a good reason for that. Ha Na Jang didn’t win the Coates – Ko handed it to her with that brutal last day. Like to think she is back on track here.